Dev Workshop Part 3: 18.13.0 Aftermath & Beginnings. I feel ya there. I can't seriously play this game anymore, since this patch. I've been on only to go a few rounds with friends, not even for sorties (save for today's sorties, which I only did with my friend since he is a huge fan of the Dera Vandal) or the tac alert, since they are now just a S#&amp;&#036;fest, with a lack of reliability that they can be completed. Yeah, this is just frustrating, and the good feeling of Warframe is just gone, in my opinion. I hate to be annoying, but do you have any recommendations to fix this, other than the ideas that you mentioned and then immediately shot down? Essentially, is what you're saying that unless we Tenno resort to hiding, running, dodging, and using cheap and boring cc tactics, our roles have been swapped with the enemy - we are the ones walking around waiting to die, while we try to get whatever scraps we can and ineffectually fire our weapons at our enemies, in the endgame setting? Pretty much, yeah. Warframe never had a really reliable cover system, because as the devs proudly declared themselves, Warframe is about aggressive play, about getting in the enemies face and shutting and cutting them down. That doesnt work if one out of three enemies has a weapon that literally oneshots you. Nullifiers, Snipers, Bombards or my absolute favourite, the corpus crewmen with the Strun, a gun so bad we Tenno cant even make it worthwhile with our strongest mods, but they are blasting our faces off in a single shot with it. I try to hide behind a volt shield, WOOPS sorry bombard explosion goes right through that. Oh while you're knocked down, here, have another 2 rockets, now can your team revive you again? ; ^) it's frustrating beyond belief. Oh, you didnt kill an enemy in a single melee attack? STRUN TO THE FACE. We have combo stances for impressive moves and yet i cant even execute a single combo without dieing. I'm completely forced to resort to healing Frames and defensive bunkers like Frost, Volt + stepping back 5 meters from my shield to avoid blast radius's and Link trinity (and even SHE gets killed nowadays, something that used to be unthinkable (which was a problem in itself, but this is just frustrating). Failure to progress with RNG loot mechanics was annoying, but ignorable due to probably the best combat system i've ever had the pleasure to play in. There's a reason people play your game for over 2000 hours and still enjoy the core gameplay. Only this time that core gameplay is bleeding and crying in a corner. From a single patch. That's pretty disastrous in my books. You had the right ideas, you just went in a completely wrong direction with your solution. We NEED to be "overpowered" to keep the core feeling of the game, and yes, we even need to be overpowered in lategame content, if we've earned it through gradual and grinding progression, THAT'S WHAT MADE THE GAME FUN. THAT was the satisfaction behind smashing enemies with a giant hammer or blowing up groups of enemies into visceral ragdolling! I'm fine with players being overpowered. But it has to be the right kind of overpowered. Smashing enemies with a giant hammer is fine, blowing up groups of enemies is fine. Locking down the entire map with one button press, or wiping the map completely, might be really fun for the player who does it, but it's a lot less fun for the other three guys trying to play. The issue is enemy scaling, which is what you talked about in the first part of your post. We "need" these map-locking and map-clearing frames because otherwise we'll eventually just get one-shotted by enemies who have scaled up. Happily, scaling is one of the issues DE has said they're going to take a look at. Any info on the Limbo changes, of yet?, Still waiting.. Thank you for bringing up the concept "the right kind of overpowered", as that is exactly what this game needs, but cannot achieve at the moment, due to the arms race between enemy scaling and player power creep that has been going on for a while. There are significant differences between "I just disabled a group of enemies with a well timed ability so my team can push through the blockade at a doorway" and "oh jeez I need to continuously spam abilities because the moment I stop doing that, the enemies one shot the objective I'm trying to defend." i am like, curious :/ When Banshee Augment was released did no one tested it or its fine to kill entire map without seeing anyone, caz like its literally an Augment for ONE skill for ONE frame, who has like 2 viable builds or so. Or is it working as intended and in 2-3 months we won't be hearing about "unfair Banshee killing eveyrthing in t4d/Draco/Waever" followed by a nerf, after people sink many forma into the frame? 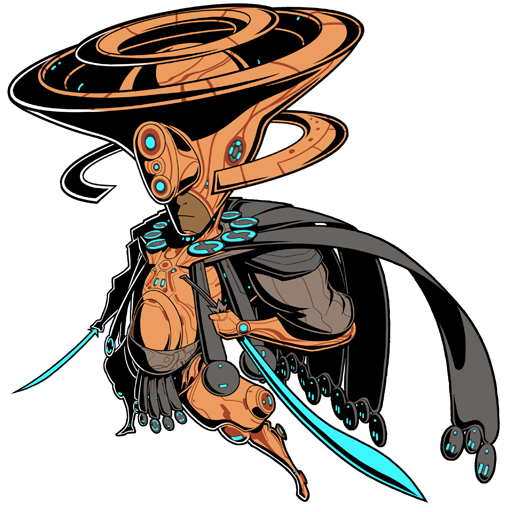 I can say for sure that, in my opinion, the business model has affected the game in the past, especially when it comes to Warframes and weapons that are kept non-nerfed, or other things are nerfed in their place until sales decrease due to being the most purchased object in its category, as Mesa was before the Peacemaker nerf, when it went from the most used Warframe to the least used Warframe overnight, an outcome that DE knew would occur. Whether or not the business model impacts the current game, I cannot say, as I am probably too close to this issue as a player currently to give an unbiased opinion on the subject. However, in my biased opinion, I would say that DE is somewhat going against that business model of profit here, by nerfing many things that players hold dear with only blanket promises to do the same to enemies, the likes of which DE has a history of not coming through on. DE is making it harder for players to obtain items, even while DE has stated that they try to reduce grinding (which, considering my idea below, may really be true with the creation of an artificial skill wall to make some missions impossible to grind for some players, technically reducing the grind. I sure hope that I am wrong). 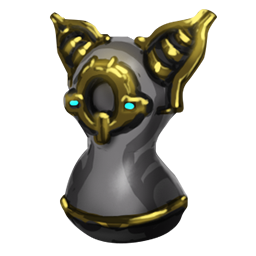 This is especially so with the recent nerfs, which have been less of nerfs to individual Warframes (which I see as a diversion from the real issue, even though the nerfs themselves are real issues), and more of blanket nerfs to anything that makes endgame content easier to the the point where it can be reliably and efficiently farmed by anyone with a certain set of items and mods. Essentially, this is DE's way of making rewards for completing endgame missions more exclusive. I could go on and on with 'conspiracy talk' about the 'business model' and get myself marginalized, so I'll just say this: what happens to more exclusive things? The price goes up. This will be no exception in the Warframe player market, where players who need more luck and skill to complete harder endgame missions (including JV raids, because holy S#&amp;&#036;, the Blessing nerf blew JV raids to pieces in terms of difficulty) will be the only ones getting the rewards from said missions, leaving them in a position to sell them to newer players for more platinum than ever, and increasing the amount of platinum purchases for newer players who want endgame rewards. In addition, this creates a rift between newer and veteran players for this reason of exclusiveness, potentially making the game have a few, tight-knit groups of endgame players who keep their strategies and builds secret from newer players so they can make this extra platinum off of them, to hoard platinum in the hopes of owning a prestigious Primed Chamber or something like that. Who knows, that could be right, but I could also be crazy, right? b) listening to the wrong people. I've been a large proponent of the policy to 'enjoy your favorite Warframe content before it gets nerfed', which I suppose has been a large mistake from the beginning, as if DE contin know DE's attitude, so I cannot offer anything on the subject of whether or not it should be changed. The only part of the attitude of DE that I see as a problem, however, is how in one of their megathread posts, they mentioned 'players on the forums predicting the end of days', in different words. They said this in the same or a similar post as to when they said that 'their vocabulary of profanity had increased considerably'. I would think that developers who marginalises their disgruntled players as 'doomsday predictors' and promote their high-horsed players to do the same to these players, is essentially a way of crushing dissent while either: ues to listen to the same people giving them positive feedback on horrible nerfing decisions, the community and game will both be stuck moving in negative directions. Intriguing analysis of DE's business model. I agree, the recent balance changes (I said balance because the term "nerf" seems to trigger people) does seem to be detrimental to making profits, as items that have been previously in high demand due to their performance will be in lower demand now, while the supply remains more or less constant. Though, if I may be hopeful in presumption, this could indicate that DE is not balancing things with profit as priority. I absolutely agree with your opinion that DE seems to, for the moment, intent on taking away the methods we have used to farm reliably and efficiently, with goal of discouraging farming and grinding. It is my personal opinion that on its own, this is detrimental. If I may shamelessly refer to my own half-baked "triangular model of balance for achieving player happiness", which states that there needs to be a good balance between challenge, fun, and reward, what DE have done is skewing the balance by increasing the challenge, without addressing the lack of reward or fun, though some people may claim that fun and challenge are directly proportional. Therefore, while the balancing changes have resolved some issues of abilities being game-breaking and overpowered, it has negatively affected the balance of the game as a whole.Thus, I would say its reasonable for players to be upset. As to players being antagonized, I'd argue that while DE shouldn't antagonize players, players should not antagonize DE either. The "doomsayers" I've personally seen are doing exactly that, antagonizing DE without being constructive. If all the community do is antagonize DE and each other, there would be no constructive feedback for DE to work with, and in turn there would be no changes to the situation at hand. Unfortunately, the trend of antagonizing is rising at a worrying rate at the moment; there are an alarming amount of players who seem more inclined to pick a fight than to be constructive. I cannot say for sure if that's due to the recent patch, but, assuming it is, that's another way in which the patch has harmed this community. Your first three questions seem highly presumptuous. What do you know of what Trinity was ever meant to do? You're not part of the DE staff who makes that decision. Get off your high horse, you're just a player like the rest of us (that Founders emblem doesn't make you better or worse than any other player, either). Also, on the idea that Trinity was game breaking, you'd be correct, yet incorrect, in saying that. She did have the potential to make the entire game 'trivialised', yes. But, she was only used due to equally broken enemies that, last I checked, still exist. I don't know about you, but I've only seen Blessing Trinities in endgame mission squads. Blessing Trinities never were the meta of every mission, nor did they just 'break' the game. They were a broken thing used only on occasion to counter equally broken things. That is why she is not 'game breaking', as something 'broken' in a 'broken' game is not 'broken', it's normal. 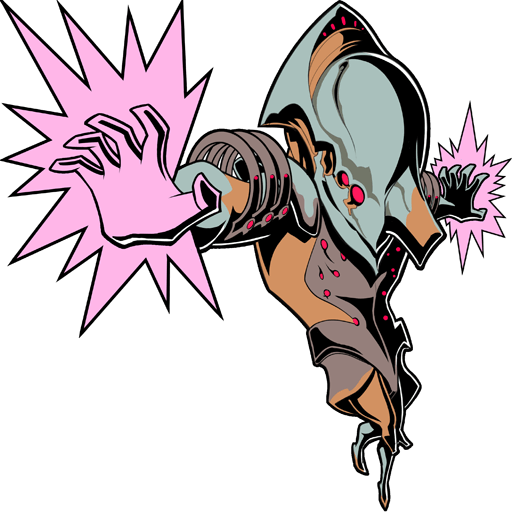 And, by the token of 'broken' things being used to counter 'broken' things being normal, and even expected in Warframe, these 'game breaking' things are not detrimental to the game - they're a fundamental part of it. Also, if you're going to be an egotistical douchebag, at least don't be insulting to other players on account of that. The point of the forums is to be a place where players can engage in polite and respectful discussions and have their opinions heard. This is not a place to ridicule people with your definitions of what you see to be 'ObviousLee' the problem, when in reality those things that you were spouting as facts are merely your own opinion. What makes me think these things that I post... Hmm... Logic maybe? No healer in any mmo that currently exists that i've ever played has healers with infinite range on their heals. So, that's that. Secondly, to say well everything else is broken so they should have left it alone is pure silliness. They fixed three dreams that had literally no downsides to their play. To argue otherwise is lunacy. Now, will I say there are many broken things? Yes. Does DE need to get rid of infinite scaling? Yes. Does that mean that games that in almost any combination trivialize the ENTIRETY of the game need to be nerfed? Also yes. The only thing I've been seeing are complaints that you actually have to struggle but on higher gamelan, which is exactly how it's supposed to be. So in the end, most of this is a maturity issue from what I can see. So no, I've no sympathies for the masses that want their easy mode that makes the game all the more difficult to balance as a whole. So, sorry for your loss, but not really.